Have you had your salad today? Eating salad almost every day may be one of the healthiest eating habits you can adopt. 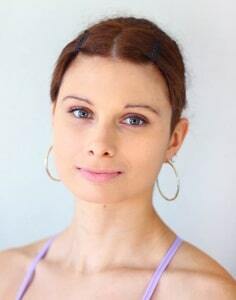 It is also one of the simplest habits. When you eat healthy, salads should be in your everyday menu. For your fit body, and healthy lifestyle, you should eat salads a lot, especially the green salads. You can eat them even before sleeping, because they will not give you fat for sure. Salads contain a lot of Fiber that lowers the cholesterol levels too, and they are giving you all the benefits of the vegetables. So, do not be afraid to experiment. You can make some amazing healthy salad recipes for dinner, and there are countless variations of each type. So in order to eat a salad every day, you need to add some new and refreshing salads to your healthy cooking book. Here are some delicious and easy salad recipe ideas, that you can try. 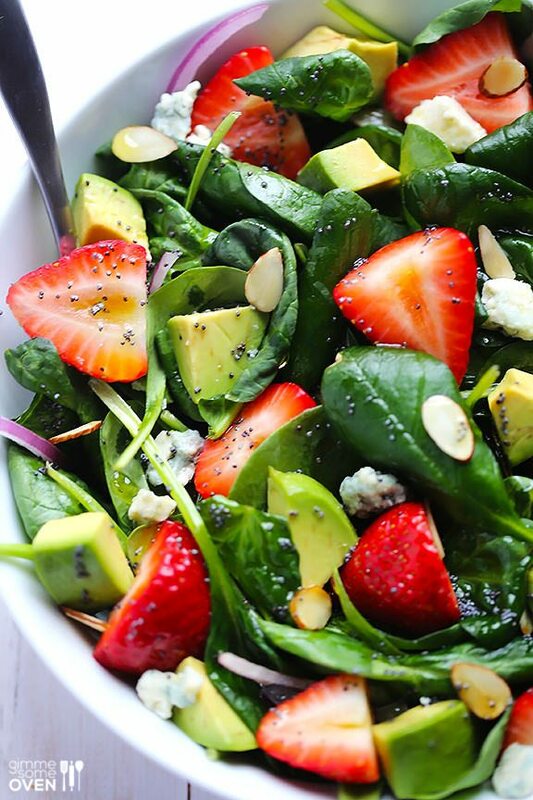 First on our list of healthy salads recipes is this fruity avocado, strawberry, spinach salad with some poppyseeed dressing. It is an amazing choice, packed with vital nutrients. You can find the recipe over here. 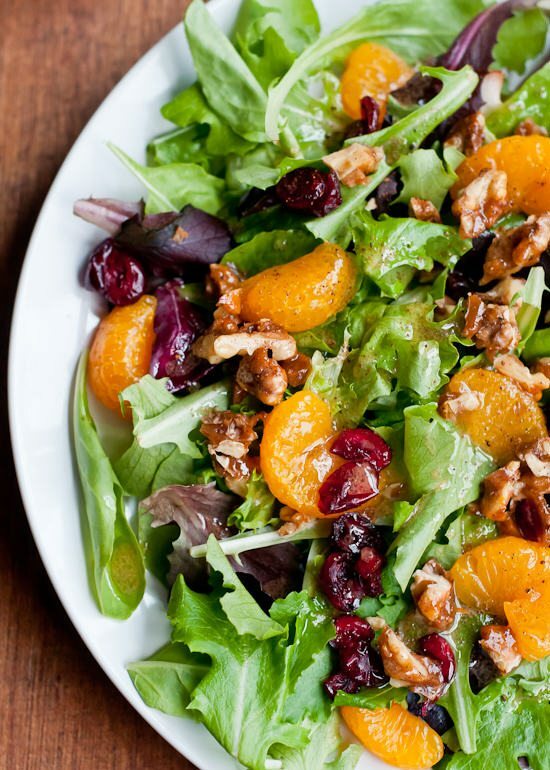 If you want a bit more citric flavor to your salad, then this simple green salad with orange vinaigrette is the one for you. It is quite festive, and it is very delicious. The recipe for this nutritious salad is over here. Next up, is a similar salad just instead of orange you will need some apples. 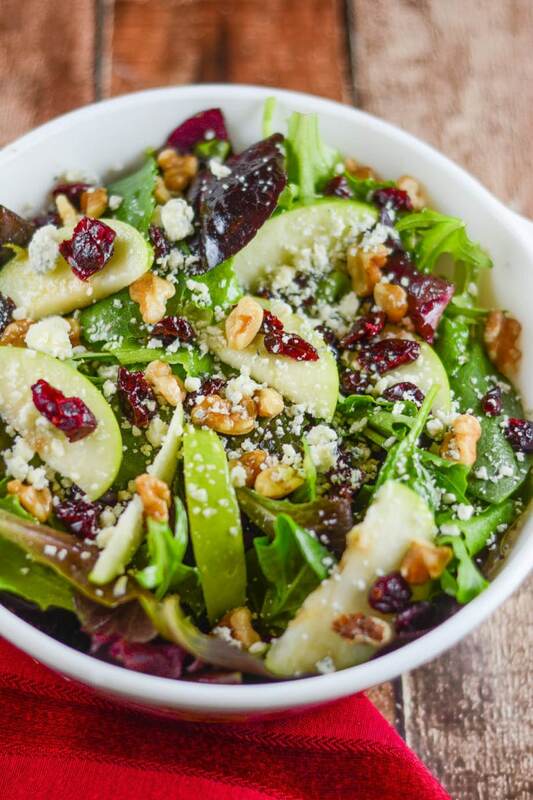 This winter salad is a perfect choice for the holidays, great salad to impress. The recipe is over here. 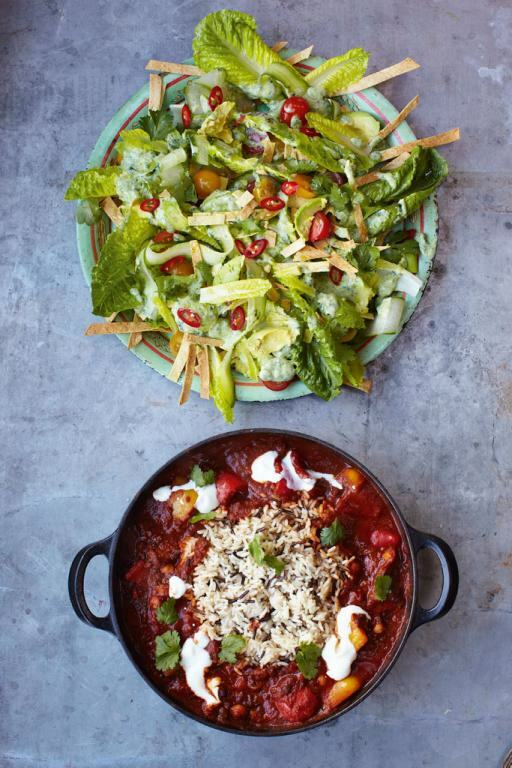 If you are in to big chunky salads, then look no further. 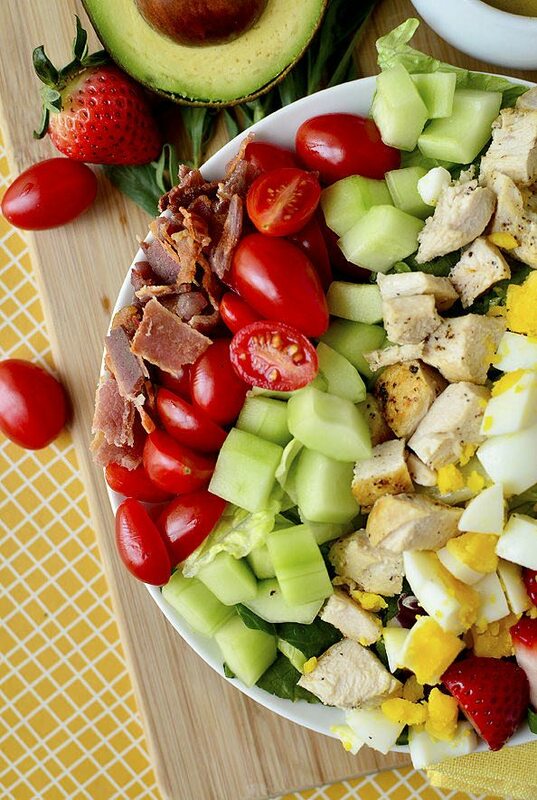 This California cobb salad is so good. Just try to use chicken only, it will add a nice twist of proteins to the salad. If you want to give it a try, the recipe is over here. I love Mexican food, I’ve told you time and time again. This salad has a very unique mix of flavors, and a very interesting texture. 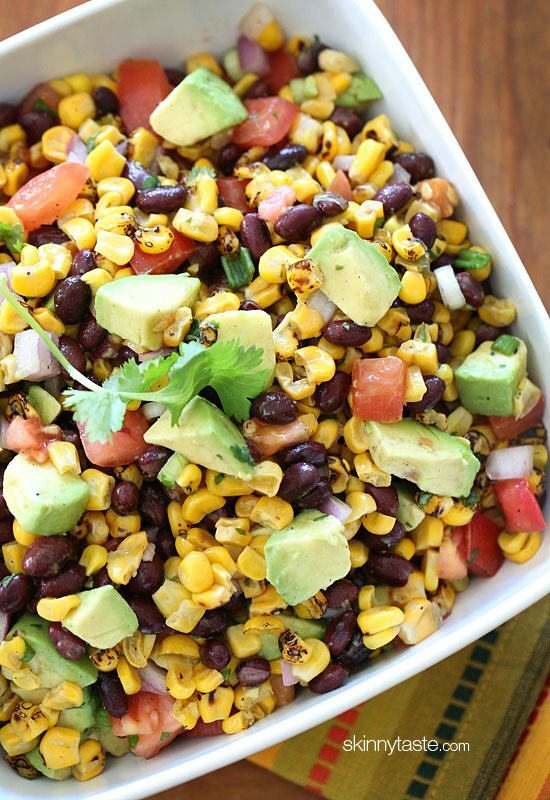 Packed with nutrients, this salad will help you achieve you “salad every day” goal. The recipe is over here, it is from Jamie Oliver. If you like southwestern recipes, you are going to love this one. A colorful mix of healthy ingredients, that is very good for you. I tend to make this salad very often, I really like it. For more details go over here. If you like what you see, don’t forget to share it. pay a quick visit this webpage, Keep up the good job.